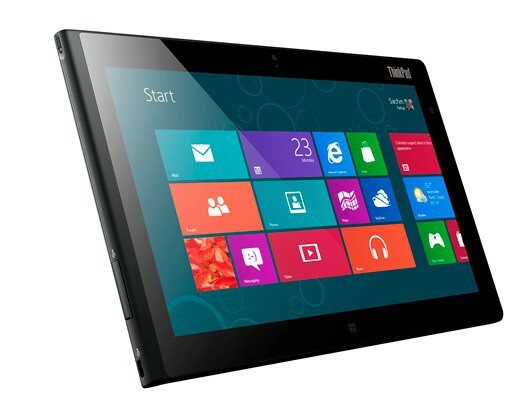 Pricing is still a bit of an unknown for the new Windows 8 based tablets. Some suggestions have hinted that Microsoft will launch their own RT version of the Microsoft Surface at a low $199.99 in an attempt to gain market share. This of course will put a strain on the other hardware developers who will have no chance at competing with that kind of pricing. But, Lenovo are hinting at a potential $300 – $500 price range for the RT versions. The pricing information come in an interview held by Bloomberg where Lenovo hinted that the price for the Pro version would be somewhere in the $600 – $700 price range with the RT versions coming in $200 – $300 less than that. Although these prices could be for Lenovo built tablets, Microsoft still might keep the $199.99 price tag as rumoured for its own Surface hardware as they are desperate to get some kind of market share with this new tablet and the new version of Windows. Although Windows 8 is guaranteed to sell extremely well on desktops due to OEM distributions, the tablet variant still has a lot of work to do as Microsoft will need to convince buyers to select Windows 8 rather than the iPad with iOS or any of the Android tablets. Windows 8 does look good though and if they managed to iron out the few bugs we saw at the announcement a few months back, Microsoft could be on to a winner here.